Xotic was born in a small garage in Southern California in 1996 and quickly became known for high-quality, boutique bass guitars and bass preamps. These days, they've expanded the pedal line, crafting stompboxes that are played by some of the finest guitarists in the business. Their acclaimed AC Booster, RC Booster, and BB Preamp pedals remain some of their most popular pedals. 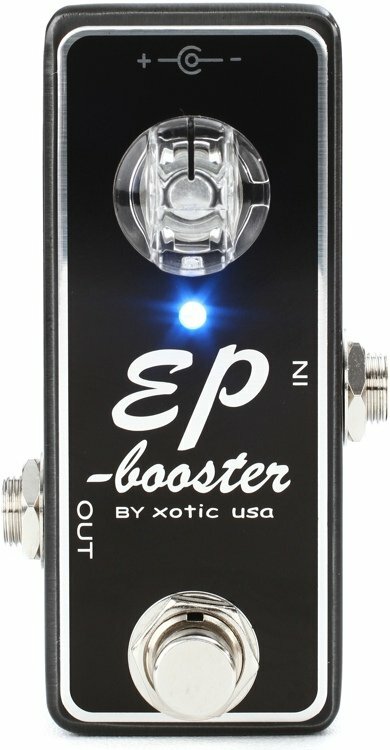 Drive your guitar tone harder with the Xotic EP Booster pedal.